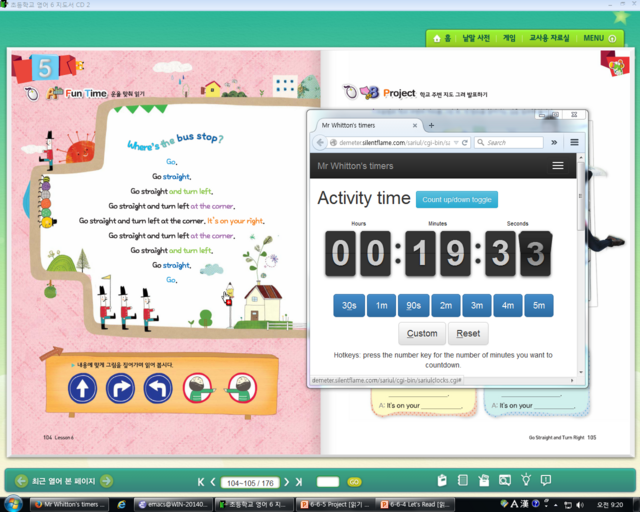 Keep track of class reward system points and count up and down activity time. The main view during a lesson. Here we can see how Bootstrap gives us the ability to see something useful when we make the browser window smaller. 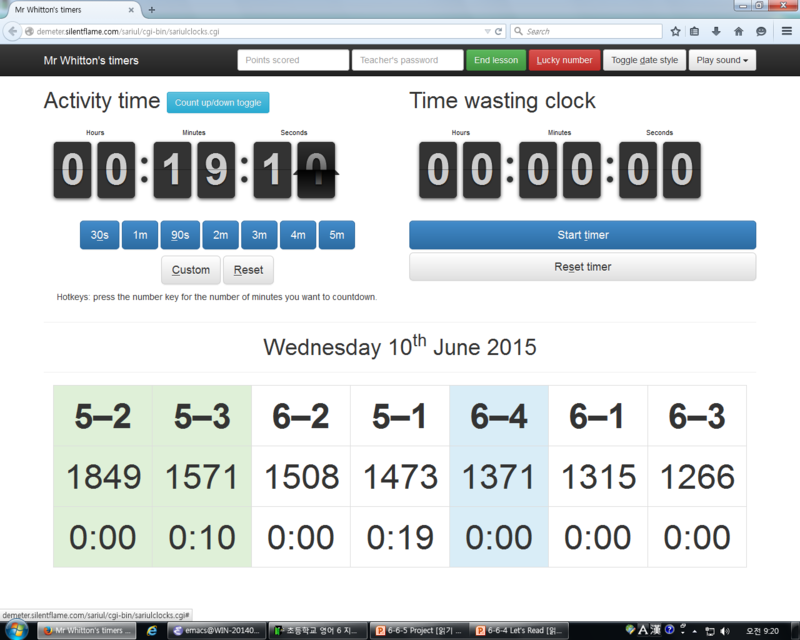 This lets us show the activity timer as well as something the pupils need to see to complete the activity. Read deploy.sh: it should explain everything that one needs to do to make it work though just running deploy.sh probably won’t work.